Membrane filters are essential in the process of membrane filtration. That's why it's vital for you to find the best possible product for your filtration needs. 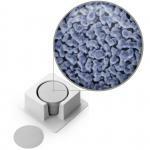 Next Day Science offers a wide range of membrane filters to suit your needs. You can use these membrane filters for microfiltration, ultrafiltration, reverse osmosis, and more. Check each of the product's description for detailed information about it. What's the difference between hydrophobic membrane filters and hydrophilic membrane filters? Hydrophobic membrane filters don't have an affinity for water, and they're ideal for applications such as venting. On the other hand, hydrophilic membrane filters have an affinity for water, and you can use them with almost any kind of liquid. How do you measure the performance of membrane filters? There are three main measures you can use to check the performance of the membrane filter namely flow rate, throughput, and bubble point. The flow rate refers to the volume of the air or liquid which will flow through the membrane filter at a fixed temperature and pressure. Generally, you would measure this as cm^2/minute or mL/minute. The throughput refers to the membrane filter's capacity for handling dirt. This will measure the length of time the liquid will flow continuously through the membrane filter before it gets clogged. Membrane filters with low throughput and flow rate would mean that you would take a longer time to complete your analysis. Finally, the bubble point refers to the differential pressure at which a wetted membrane filter emits a constant stream of gas bubbles under test conditions which are specific. When you test the membrane filter's bubble point, it will help you determine its pore size and integrity. Testing the bubble point will help you measure the biggest pore of the membrane filter. Generally, you can determine the bubble point using alcohol or water. What factors should you consider when choosing membrane filters? Before you choose a membrane filter, you have to determine what gas or liquid you will filter. Then you need to check which filter membranes would be chemically-compatible. Another factor to consider is the maximum pore size you need to achieve your desired results. You can also check the specifications of the membrane filter for any unusual conditions for processing that might limit your membrane choice. No matter what purpose you're planning to use the membrane filters for, there are products out there which will suit your needs. What are the variables which affect a membrane filter's performance? There are three variables which would affect the membrane filter's performance. First, the viscosity of the liquid would determine the membrane filters flow resistance. If the viscosity is high, it will have a lower flow rate and vice-versa. Second is the porosity wherein the membrane filter's flow rate is directly proportional to its porosity. This means that if the filter has more pores, it will also have a higher flow rate. The third is the filter area wherein it would have a faster flow rate if it has a bigger filter area. How do you rate and determine the pore size of the membrane filters? You would determine the rating of the pore size through the diameter of the particles you expect the membrane filters to retain. In doing this, you can rate the pore size with a high degree of competence. Usually, you would state the rating in absolute or in nominal terms. On the other hand, you would determine a membrane filter's pore size by the diameter of the particles retained by it. You can do this either through bubble point testing or by making use of a challenge organism.